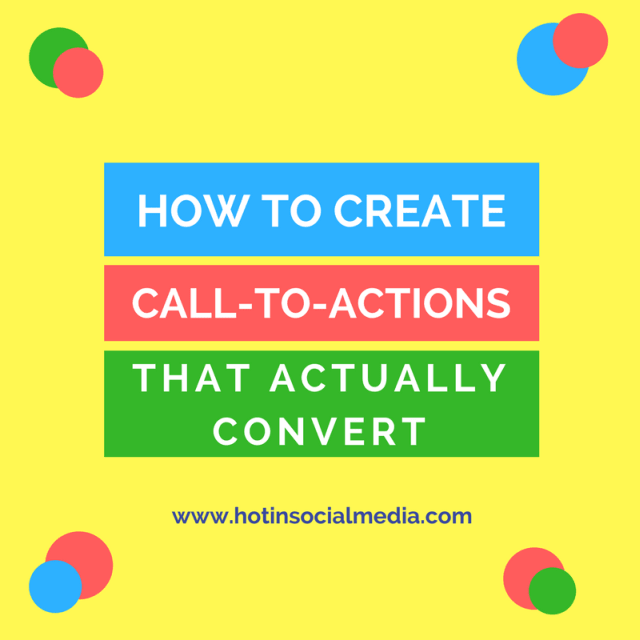 CTA is called ‘Call to Action’ for a reason. They invoke almost an emotional response from the user that leads to favorable action for the merchant. CTAs are widely used on e-commerce websites, email marketing campaigns, promotional videos and other forms of content that help in securing conversions. They are a mixture of certain elements that build an interactive platform for the customers to purchase a product or service. In this article, we have shared 9 useful tips on how to create call-to-actions that actually convert more for your online store. This is considered one of the first steps to designing a CTA. Your color palette is imperative to the entire scene since it holds a mighty influence over the user’s decision-making process. You must choose a combination that accentuates the CTA and invokes a response in favor of the website. The color should also not disturb the color harmony of other elements and the contrast of the platform. For better know, you can visit the color psychology or hire professional web development company for the task. Design helps distinguish the CTA against the layout of the website. It adds grace to it that reflects the quality of the product in a unique way. An elegant design can make huge leaps in the conversion process if it fulfills the criteria of an appealing look. You can use cut corners, sharp-edged and circular CTAs with even 3D effects. Other improvements in graphics can also bring your CTA’s into the spotlight such as color blinking, flash animations and even introducing mascots next to them. You can either hire a dedicated designer for this or download plugins for custom animations. The size of the CTA is crucial in every aspect. It reflects its unique role and keeps the environment around it in equilibrium. Size can be used for a number of reasons. It can help leverage attention of the user, improve readability factor, enhance mobile experience and make it more usable in terms of tapping and clicking. But size can also become sensitive with the surrounding and abuse it can cause a number of complications. It’s best to keep the dimensions of the CTA in good books with the subject and the proportion of other elements as well. The text is one of the most basic, yet cardinal elements in CTAs. They help identify the purpose and remove the language barrier that keeps the user from interacting with it. Without text, your CTA cannot work. To make the best out of textual content, make sure you combine words that are likable and situation friendly. If you are aiming for the larger group of words than add your USP or unique selling point into the phrase. For instance, if you want your stock to be sold fast, you can create CTA like this, “Buy Now Only Few Left” or “Buy One get One Free”, only if your marketing and sales policies accommodate that. 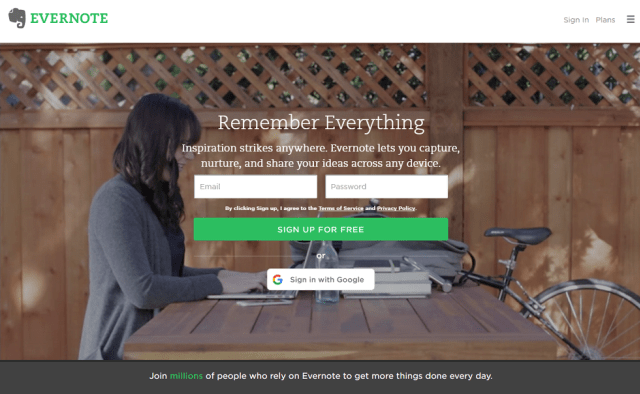 In the image above, Evernote has placed “Sign Up for Free” right in the center after Email and Password fields to establish hierarchy and keeping other elements in equilibrium. Placement of the CTA is one of the most underused and underrated practices. It’s often times sad to see how even top ranking websites choose to ignore the ideal position where the CTA should be, and then expect the user to interact with. Finding a good location to position your CTA is not child splay. You need to make sure the user finds it savvy and does not compromise any other elements that need attention. A good area covered by ample white spacing can set a strong impression. If your CTA is price-oriented then make sure you place it close to the pricing of your product or service. CTAs are most effective when used in short doses. Adding too much text, color or aesthetics can defeat the purpose. Potential customers are not looking towards reading, but are more interested in reasons to buy the product. That is why you must make a sharp impression with the best reason you have. For instance, if you intend to offer discounts through a CTA, you must share the most important detail which is a discount percentage and some yellow contrast. This helps cut the unnecessary details and incites an immediate response from the customer. Always lead with incentives you are offering. A good CTA must deliver the subject of the offer the moment a customer lays eyes on it. This helps the customer absorb the content faster and move towards the decision-making the process faster. A CTA that reads “50% Discount on All Products” will get more attention compared to another that says “Click Here and Get 50% Discount”. By showing what makes your product worth buying you can easily indulge your customer into your offer and lead them to the checkout page. In Most cases, CTAs are defined with what they bring to the table and how they blend in with the surrounding elements. Focusing too much on CTA can become a liability for the rest of the website as well. Maintain equilibrium by adding value to the rest of your website components so the user does not ignore their presence. These elements include images, videos, text, navigation, header, and footer etc. Neglecting them can create a chasm between your website’s user experience and visual appeal. You can add good content that goes well with the CTAs, use a well-balanced color combination and appropriate negative spacing to separate these elements. Testing and analyzing the progress of your CTAs is an essential part of improving the quality of your CTA. Keep tabs on your CTAs by testing them against different customer environments after changing color, text, design, and placement. The performance of your call to actions is directly proportional with these features. Some colors are more effective against specific type and demographic of customers while some types of font styles are easily read on smaller screens. Learning these statistics can help improve your CTA appearance and its marketing ability by several folds in future. The improved appearance and marketing potential means more conversions and more revenues. CTAs are an excellent source of inviting the customers towards the checkout and closing a lead. They are fast and hassle free means to convert your customers without compromising large spaces on your website. With these helpful tips and tricks, your CTAs can reach higher levels of engagement and produce a greater amount of sales. Asad Ali is a professional Internet Marketer, currently working at Go-Gulf – a premium web development company in Dubai. He has over 7 years of experience in conversion optimization, design optimization, and search engine optimization. You can reach him on Linkedin.